Answering this question requires an assessment of their understanding of the most important foundation skills, such as capital letter formation, colors, numbers, words, and shapes. After you discover the areas in which your students need more practice, you can begin employing strategies that build and reinforce skills for a strong start to their first elementary school year. Music is instrumental in helping students develop a broad range of foundation skills, especially language development, fine motor coordination, and socialization. The more students sing fun, interactive songs, the more their vocabulary expands. Songs with corresponding physical movements exercise and strengthen students’ fine motor abilities. Music is also a strategy that can be used across subjects to help students memorize and better understand cross-curricular material. Another way to ensure that your students are fully equipped for kindergarten is to allow time for social skills practice. Social skills are the way in which children behave and interact in their everyday environments with other children and adults. These skills include sharing, taking turns, listening, conflict resolution, and many others. Practicing social skills can be embedded into daily activities such as discovery play and circle time. Be sure to choose classroom materials that promote exploration and imaginative role playing. Before Pre-K students take the next big leap into kindergarten, it’s important to make sure their fine motor skills are up to speed. Students will be writing significantly more in elementary school and will need to use their hands in a more advanced and concentrated manner. Hands-on learning materials and activities such as finger painting and shaping dough build hand strength and coordination. 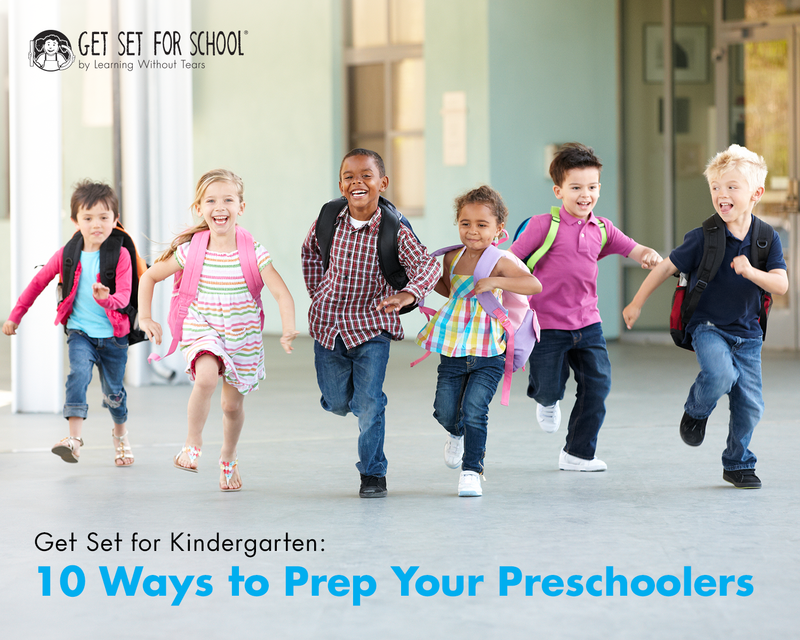 Join us on March 26 at 4 p.m. (EDT) for our Top 10 Ways to Prepare Your Children for Kindergarten webinar to get an in-depth look at our full list of strategies. Register now to save your seat!